The olive harvest this year is poor. Maybe because it is one year good, next year not so good-like apples; maybe because there is not enough rain. 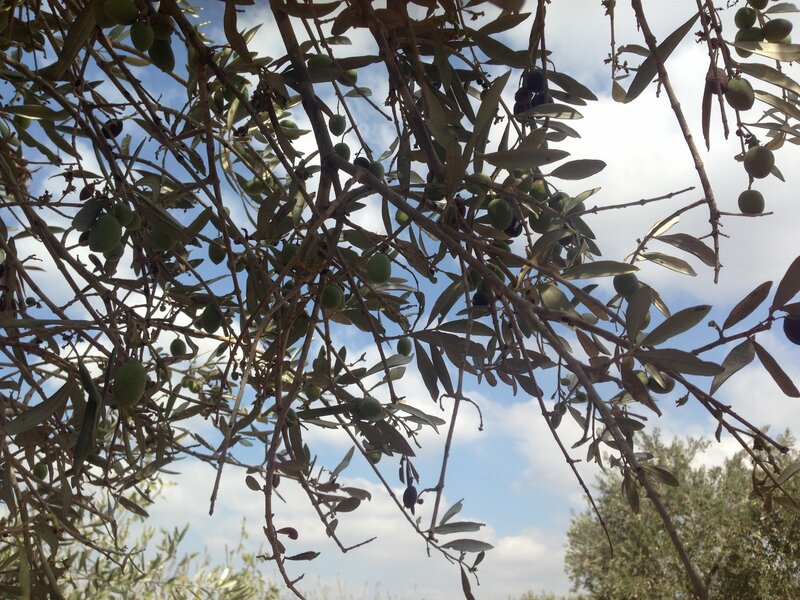 But olives remain the core of the economy here around Salfit and Nablus. Around Al Khalil in the south, they have a more mixed agriculture, with grapes and fruit trees. Here, as you drive along, every hill and slope is olives, and the idea of every tree needing picking is exhausting. It is not just the internationals who run to help in these precious few weeks: entire families turn out, down to the children, absent family return home, university students take time off, the hammam is empty, Israeli activists cross the illegal border to help with the Palestinian Olive Harvest. When internationals are there, the instances of violence and intimidation go down drastically. Settlers do not come, or if they come, they do less. And if they come, the army comes too and the worst violence is prevented. There are people we can phone. There are Rabbis from Israel who will come. We can take film if needed. We are witnesses. Most of our work is visible: filled bags of olives, filthy clothes and tired bodies at the end of a day. Some of it is invisible: a day spent productively picking olives with less fear and no interference. *Information from the body which coordinates protective presence with the UN.